Today is my birthday. Happy birthday to me! While I’m not so big on birthdays, I thought it was a good excuse to have some people over. One of our big problems with having a large number of people over though is our lack of dinnerware. Of course, this could easily be solved for a trip to IKEA, but the problem comes up so rarely and we’ll be packing up and moving in no time, again, so I don’t want to bother getting another set of dishes. So, my challenge for the evening was to think of things people could just pick up and easily eat. Luckily there are lots of delicious foods that fit the bill. Dessert-wise, the first thing I thought of were some simple chocolate chip cookies. I have seen Ashley Rodriguez’s (from Not Without Salt) recipe floating around the internet lately so I thought it was a good time to give them a try. 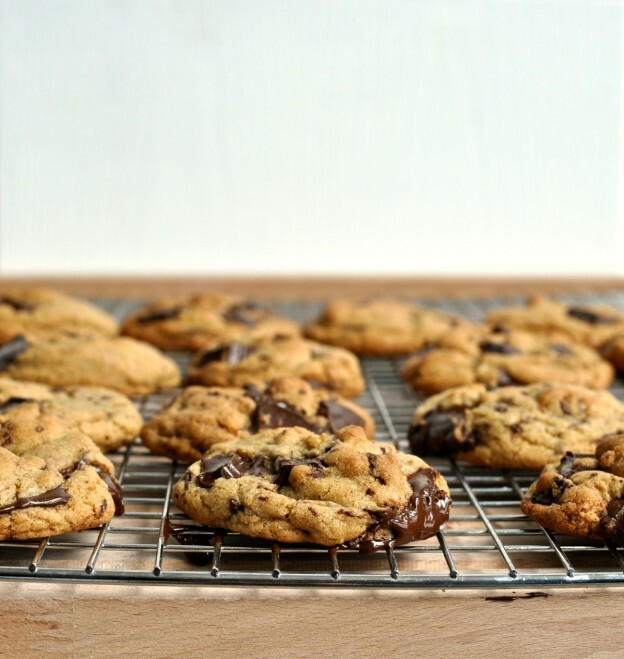 I have to say, they are the perfect chocolate chip cookies. 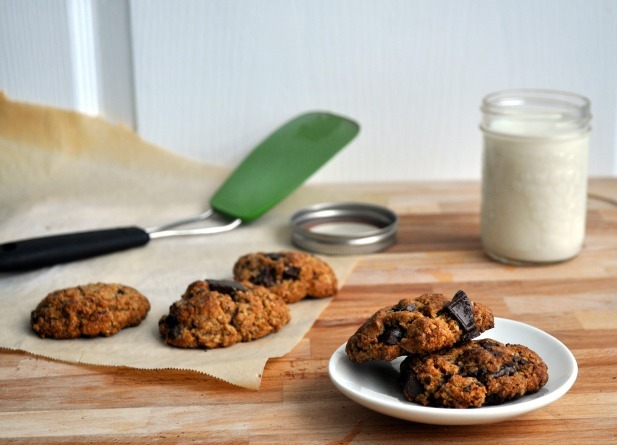 This entry was posted in Chocolate, Dessert, Potluck Dishes and tagged Chocolate, chocolate chip cookies, chocolate chip cookies recipe, cookie recipe, Dessert, food, perfect chocolate chip cookies, perfect cookie recipe, recipe, Sweet on May 8, 2015 by mysecondbreakfast.